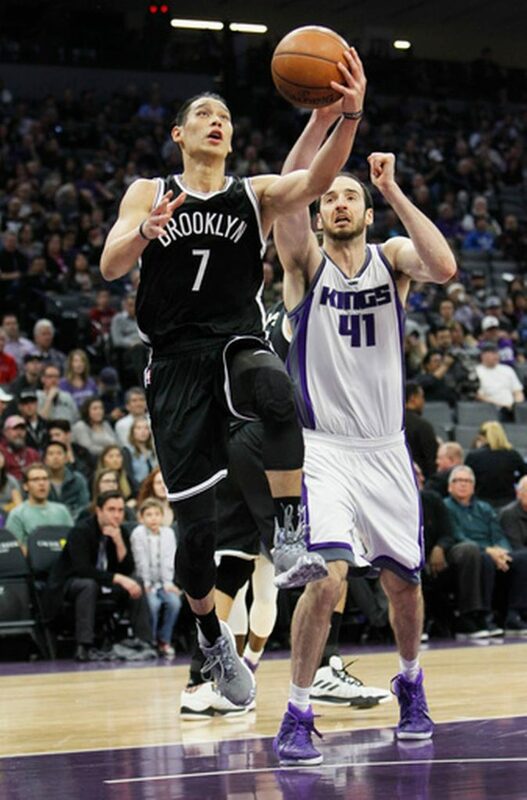 For the first time since October, the Brooklyn Nets won a game with Jeremy Lin, and didn’t have to halt the celebrations knowing their point guard picked up another hamstring injury. Not that there was too many celebrations following their 109-100 win over the Sacramento Kings, the Nets first win after losing 16 consecutive games, putting them at a still league-worst 10 wins and 49 losses, with 23 games to go. The Kings post-Cousins aren’t much of a team. They’ve lost their last 3 games, and are probably on their way towards a blatant tank. Not that the Nets should care about the circumstances. When this is just your third road win of the season, the who and the what doesn’t matter. 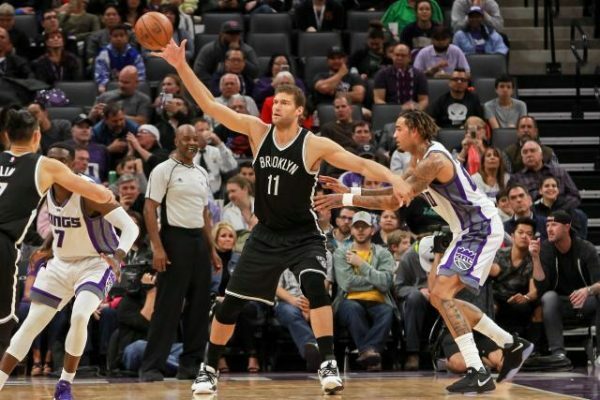 Brook Lopez looked like he cared, which doesn’t happen that often recently, finishing with 24 points and 8 rebounds in 30 minutes. He didn’t have a very good day from the outside (1-for-5), but he didn’t really have a problem dominating the Kings’ limited big men to lead the Nets in scoring. After him on the scoring list, despite playing only 20 minutes (remains on minute restriction), was Jeremy Lin. Lin scored 17 points (20.6 points per 36 minutes so far) on 5-of-10 from the field, dishing out 5 assists. It’s safe to say things moved quickly during Lin’s minutes, which is one of the things the Nets can’ do properly when there’s someone else running the point. Trust ‘em, they’ve tried just about everyone at point guard during Lin’s long absences. Randy Foye finished with the best +/- on the team, playing during the Nets’ runs, playing just 14 minutes but the Nets won by 22 during those minutes. Isaiah Whitehead, coming off the bench, finished with 14 points. Caris LeVert, starting next to Foye and Lin, finished with 13 points. Rondae Hollis-Jefferson also started, playing as a power forward while Trevor Booker came off the bench. As we’ve mentioned a number of times during this season, there’s not a whole lot of interesting things going on with the Nets right now. They’re not developing too many players who’ll carry them in the next few years, as most of the guys on this team are simply placeholders before some offseason rehaul. But Lin gives them a different dimension. Along with LeVert, he’s probably the only player on this team that Sean Marks sees as someone to hold on to beyond this bad season and the next one, which might not be easy to endure as well. Lopez is the team’s highest paid player and top scorer, but the Nets seem to be in trade mode for him, only they can’t find a good enough offer. That seems to be the story with Lopez for quite some time, so it’s not like he’s surprised by being offered to anyone who will take him. Maybe above all that, there’s just the happiness for Lin and of Lin being back on the court, playing well and winning. We’ll be able to gauge his abilities a lot better against other teams and especially when he gets more than his current minute allocation. It won’t make the Nets season successful, but it might finally make it fun to watch for more than a couple of games here and there.